It is a piece of clothing usually condemned to the lowest drawers and recesses of the wardrobe. Sometimes left in the hallway, under the bed, on the steps, even in the sand box of children’s’ parks. It seems nobody gives two hoots about the neglected pair of socks. After all we can always buy new ones. But it seems times are changing. 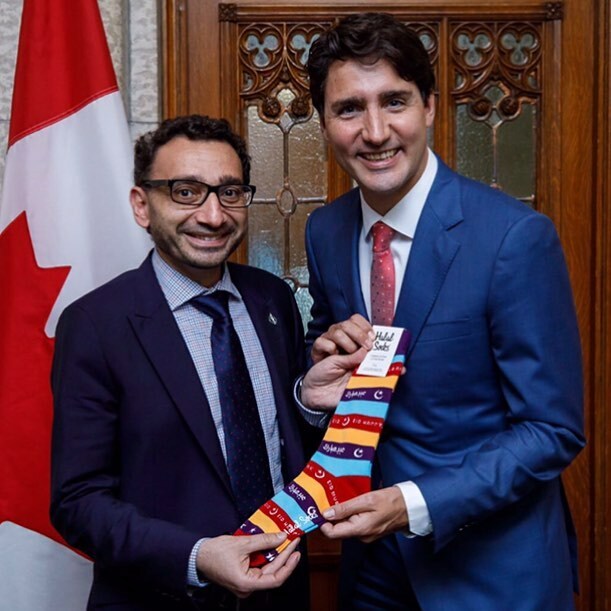 Credit goes to our Prime Minister and his stylish and enthusiastic entry in the Toronto Pride Parade this year and to MP Omar Al Ghabra, who presented the Prime Minister this pair of socks for Eid. The day coincided with the end of Ramadan celebration, otherwise called Eid. Who knew sunny ways promised by him at the commencement of term as Canadian premier included a saunter in a pair of coloured socks sporting the greeting Eid Mubarak all over them. Canadian pride, Eid festivities, the warm sun, plenty of family…what can be more Canadian, eh? Those of us who were welcoming the re entry of lunch in our daily routine, (after nearly a month of fasting) namely the Canadian Muslims, were delighted by this endearing action of Mr. Trudeau. A plethora of news reports, articles plus millions of comments, likes, shares etc. on the so called social media proved loads of others were equally delighted. So once again the Prime Minister reminded the world that he possesses the mythological Midas touch. Everything he happens to touch, turns to gold. This incident proved, not only do his hands do the trick, but also in this case; his feet. Halal Socks, the official brand name of the now famous socks, have become a worldwide sensation. Did anybody expect this to happen? I thought the best people to ask are the creators of Halal Socks and here is what they had to say about how they felt after their socks became famous. 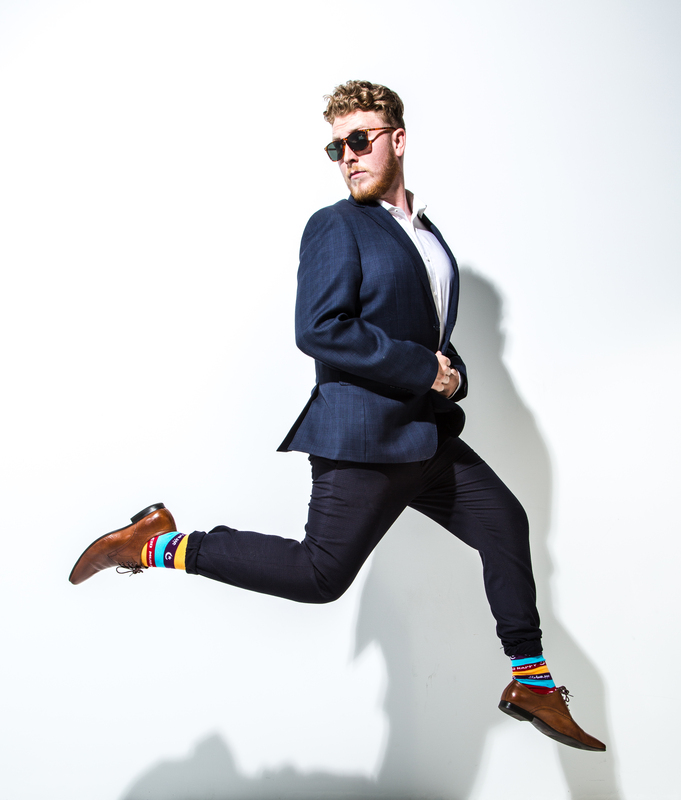 TheLinkCanada: Did you ever expect that your socks will get the worldwide attention they did after our Prime Minister wore a pair to the pride parade? Tell us the whole story. HalalSocks: To be honest, we were completely blown away by the incredible amount of attention, love, and support we received. We had no idea the socks would even get to Justin Trudeau, let alone that he would wear them on two separate occasions. The most wonderful part of the experience was that it reaffirmed our belief that there needs to be better representation for Islamic choices, thanks to how strongly our socks resonated with so many people. After designing our first collection, we wanted to get opinions and feedback from prominent leaders in our community. One of them was Omar Algabra, a Member of Parliament who represents central Mississauga. He instantly loved the idea and was proud to see Muslim entrepreneurship. We then gifted him two of our Happy Eid pairs in hopes that he would present one to Canada’s biggest sock enthusiast: Prime Minister Justin Trudeau. A few days later, Algabra sent us a video of Trudeau wearing them at a Project Ramadan basket build. He showcased his socks and wished everyone an Eid Mubarak. We could not believe our eyes! In fact, Sara started crying with happiness and disbelief. 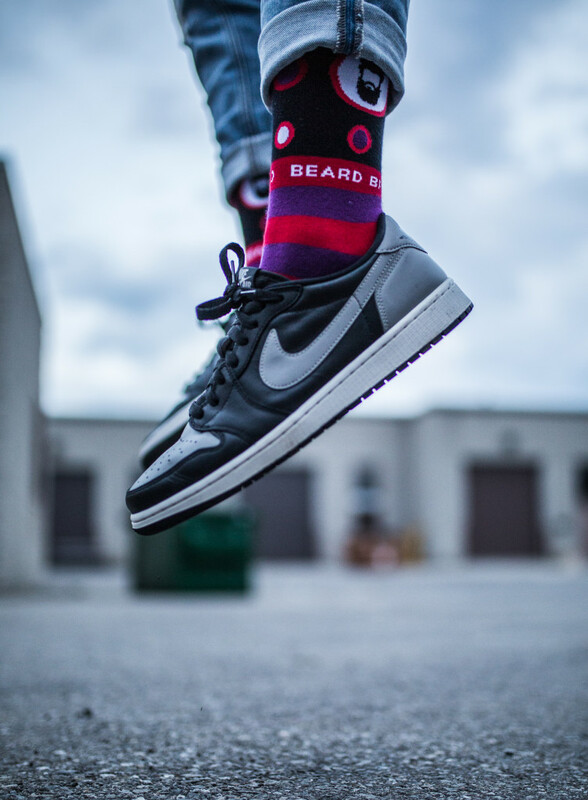 We were beyond excited and received many inquiries from people wanting to purchase the socks. Fortunately, the excitement did not stop there. On Eid-Ul-Fitr, only three days after the Project Ramadan event, Sherry was browsing through the news and came across the Toronto Star article about Trudeau’s Eid Mubarak socks. To our surprise, he wore the pair yet again. This time, he wanted to simultaneously celebrate Eid and Pride as they fell on the same day. We could not imagine in our wildest dreams that Justin Trudeau would wear them once, let alone twice at a public event. Plenty of designs to choose from! TheLinkCanada: In your opinion what does this incident tell the world about the inclusivity of the Canadian culture? HalalSocks: I think one of our proudest accomplishments is how we played a tiny part in what this moment said about Canada and Canadian values on the world stage. We are a country proud of our diversity, and that pride is reflected in coming together to celebrate our differences, the exchange of values, beliefs, cultures and identities to create a country with ideals greater than the sum of its parts. Here was our leader, raised Catholic, wearing socks celebrating Islam at an event celebrating LGBTQ pride. Eid fell on the same day as pride this year, so showing his support was a reflection on the actions he has already taken as a PM – one of respect for people from all levels of society. TheLinkCanada: I was surfing the net and noticed that while most people have responded positively to the now famous Halal Socks, there is also a lot of negative publicity. How do you handle this? 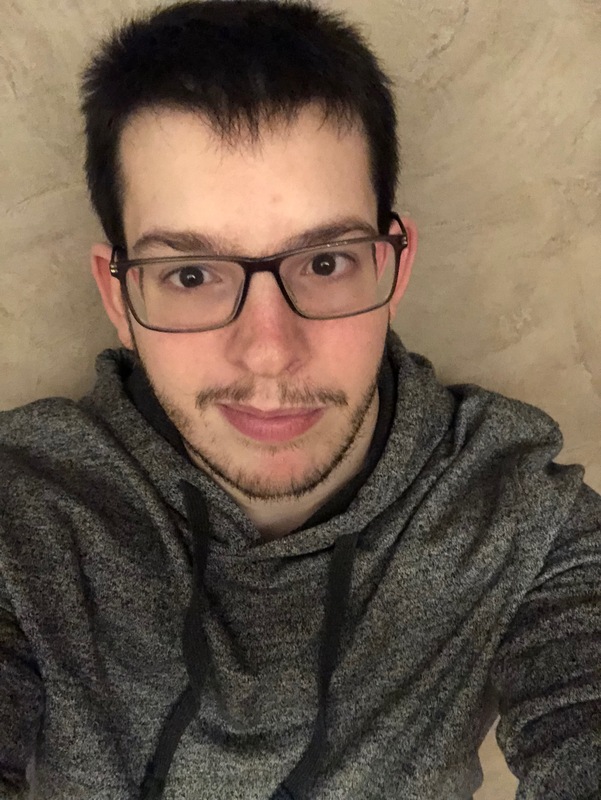 HalalSocks: Our team tries to address the concerns and criticisms, but we are a very small team and are aware that not everyone shares our values and beliefs, which have been formed by our Canadian and Islamic identity. It initially saddened us, but ultimately, we realized we were doing something meaningful even if it was ruffling a few feathers while generating so much love and support. Everyone doing something worth discussing always generates some criticism, justified or not. So we use that as positive reinforcement now. 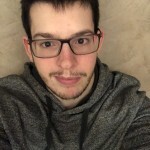 TheLinkCanada: Why only socks? Why not other articles of clothing? How did it all start? 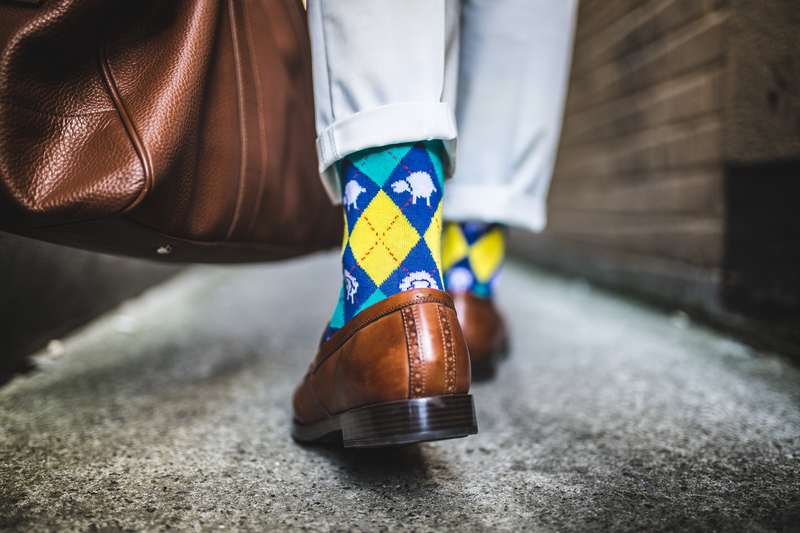 HalalSocks: We wanted to start with socks because we felt as Muslims, socks have a special visibility in daily life through prayer, and frankly, there was no representation of anything Islamic in what we felt would be the most natural area to show cultural and religious pride. Last Eid Ul-Fitr, Sara was having difficulties finding a festive gift for her husband Sherry. Knowing his passion for socks, she was looking for Eid-themed ones. After hours of searching online, she couldn’t come across anything even remotely close to what she was looking for. This is when we had a lightbulb moment and Halal Socks was created. Although we’ve started with socks, we plan to branch out into other articles of clothing soon. TheLinkCanada: Tell us something about the production side of your business? Where are the socks made? How do you market them? Who are the potential customers? 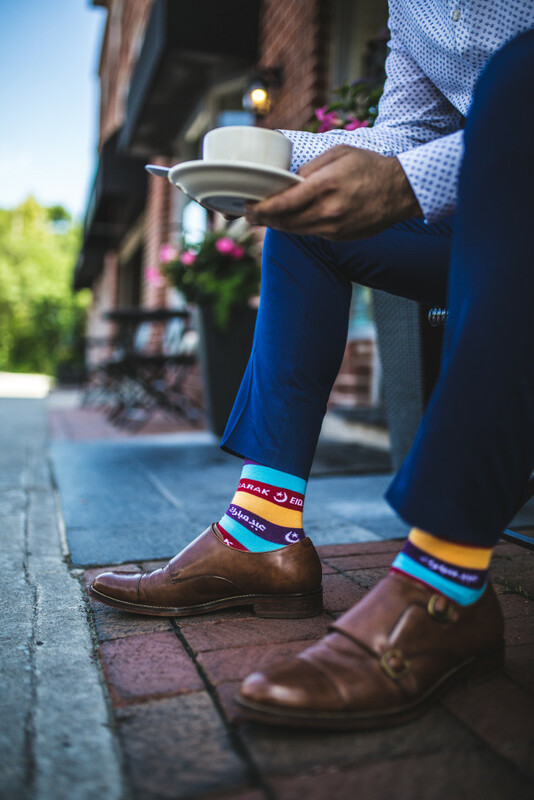 HalalSocks: While designed and sampled in Canada, our socks are manufactured in China and Turkey. Each pair is carefully crafted with 80% combed cotton to provide the utmost comfort to your feet. We market Halal Socks through celebrity endorsements, social media, and word of mouth.Currently, our target market consists of men and women. It’s for anyone who wants to show pride in their religious identity, solidarity with the Islamic faith, a celebration of many cultures that are either often negatively represented or simply under-represented, and people who want to add a little style to their step. We are looking to expand our sock line to better cater to women (smaller sizes, different designs) and kids. TheLinkCanada: Do you plan to expand your business? Any advice for other young Canadians who have innovative ideas and want to start a business like yours? HalalSocks: We are coming out with our Women’s and Children’s line soon. We also plan to expand by creating other articles of clothing. The best advice we can give is to never give up, no matter what. Nothing is built in a day, so you must keep going at it and if you fail, don’t worry about it – the most important thing is that you learn from your mistakes. Take us for example; Halal Socks was not our first attempt, but Alhamdulillah we persevered and kept on believing in ourselves. 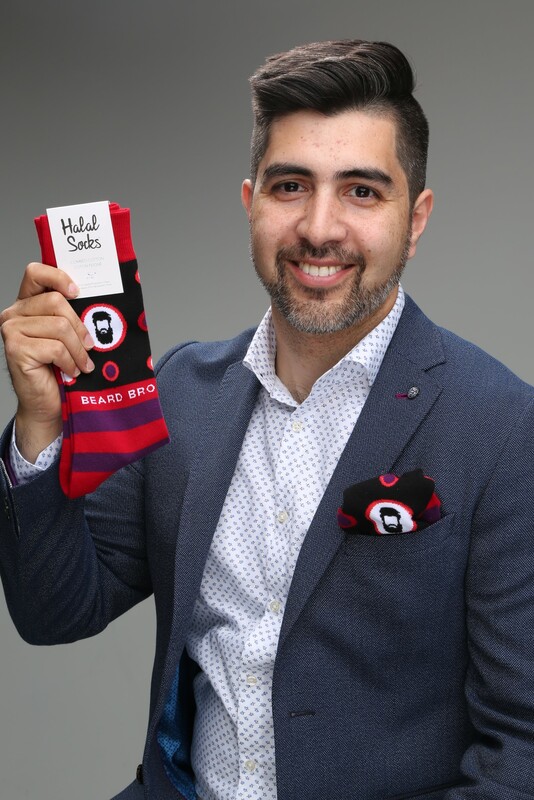 The Halal Socks team has created, an outstanding and unique way to represent Muslim and Canadian pride and spirit through their halal socks. This is an excellent way to inspire the youth in our community to put their ideas out there and try to create a change that leaves a strong impact. 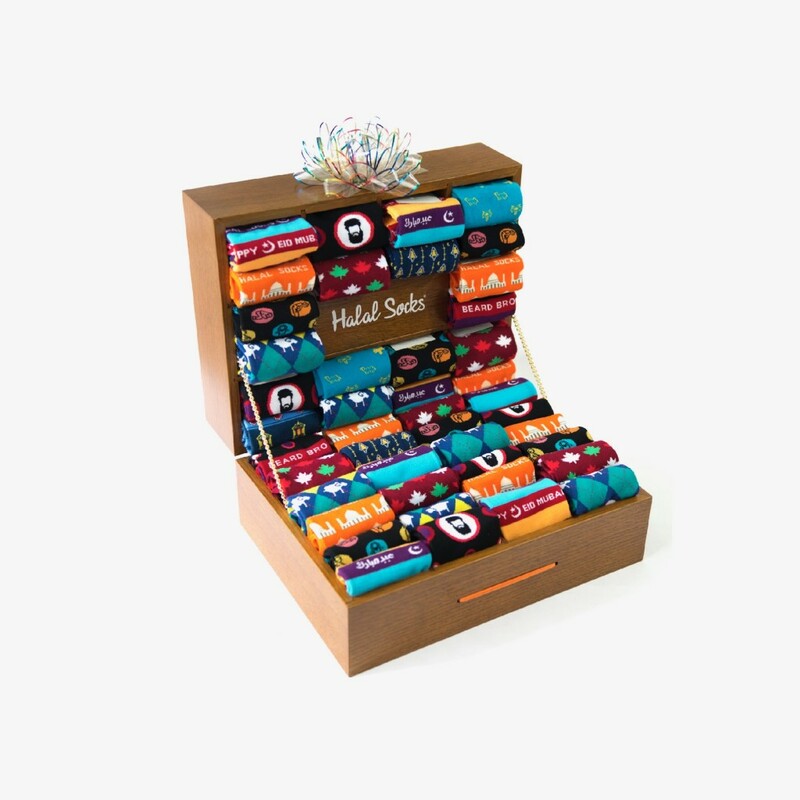 Halal Socks, starting out as an Eid gift idea, became incredibly popular. This simple and usually overlooked article of clothing was able to leave such an impact. It represented clearly, the inclusivity of the Canadian culture, which is accepting of different people. Who knew the bottom drawer dwellers would come such a long way? Follow Halal Socks on instagram and facebook to keep updated! C’est un vêtement qui, d’ordinaire, est condamné à être remisé au fond du tiroir ou de l’armoire. Parfois délaissé dans un couloir, sous un lit, dans un escalier ou encore dans le bac à sable du parc le plus proche, il semblerait que tout le monde se fiche pas mal des vieilles paires de chaussettes. Après tout, on peut toujours en acheter de nouvelles. Pourtant, cela pourrait bien être en train de changer. Tout le mérite revient à notre Premier ministre et à son entrée pleine de style et d’enthousiasme au défilé de la Fierté de Toronto de cette année. Ce dernier coïncidait avec la fête de fin du ramadan, autrement appelée l’Aïd. Qui aurait cru que la voie ensoleillée, promise par M. Trudeau au début de son mandat en tant que Premier ministre, comprendrait une balade vêtu d’une paire de chaussettes aux couleurs de la Fierté sur lesquelles est inscrit Aïd Moubarak. La Fierté, l’Aïd, le soleil, Toronto, la famille… on ne peut pas faire plus canadien, pas vrai ? que de nombreuses autres personnes en ont été tout aussi enchantées. Le Premier ministre a donc encore une fois rappelé à tout le monde que, tout comme le roi Midas, ce qu’il touche se transforme en or, même si dans le cas présent ce ne sont pas ses mains mais bien ses pieds qui ont fait tout le travail. Halal Socks, le nom officiel de la marque de chaussettes aujourd’hui célèbre, a fait sensation à travers le monde. Qui pouvait s’attendre à ce que quelque chose comme cela se produise ? Je me suis dit que les mieux placés pour répondre à cette question restaient les créateurs de Hallal Socks et voici ce qu’ils m’ont rapporté à propos de ce qu’ils ont ressenti quand leurs chaussettes sont devenues connues. TheLinkCanada : Vous attendiez-vous à ce que vos chaussettes attirent l’attention du monde entier après que notre Premier ministre en a portées une paire au défilé de la Fierté ? Racontez-nous toute l’histoire. HalalSocks : Honnêtement, nous avons été incroyablement surpris d’avoir attiré autant l’attention et d’avoir reçu tant d’amour et de soutien. Nous ne pensions même pas que les chaussettes arriveraient jusqu’à Justin Trudeau et encore moins qu’il les porterait lors de deux événements différents. Le plus magnifique dans tout cela, c’est que, de par le superbe accueil qui a été réservé à nos chaussettes, nous avons été confortés dans notre idée que les produits musulmans se doivent d’être davantage présents dans nos rayons. Après avoir conçu notre première collection, nous voulions recueillir des avis et des retours de la part de dirigeants connus faisant partie de notre communauté. L’un d’eux a été Omar Alghabra un député de Mississauga-Erindale. Il a tout de suite adhéré à l’idée et a été fier de voir des entrepreneurs musulmans. Nous lui avons offert deux paires de nos chaussettes affichant le message « Aïd Moubarak » dans l’espoir qu’il les montre au plus grand amateur de chaussettes du pays : notre Premier ministre, Justin Trudeau. Quelques jours plus tard, M. Alghabra nous a envoyé une vidéo de M. Trudeau portant fièrement nos chaussettes lors d’un événement de confection de paniers organisé par l’association Ramadan Project. Il en a également profité pour souhaiter un Aïd Mubarak à tous. Nous n’en avons pas cru nos yeux ! Sara en a même pleuré de joie tant elle était surprise. Nous étions surexcités et nous avons reçu beaucoup de commandes de personnes voulant se procurer ces chaussettes. Heureusement, cela ne s’est pas arrêté là. Lors de l’Aïd el-Fitr, trois jours seulement après l’événement organisé par Project Ramadan, Sherry feuilletait les journaux et a découvert un article du Toronto Star qui parlait des chaussettes « Aïd Mubarak » de M. Trudeau. À notre plus grande surprise, il avait enfilé la même paire. Cette fois, il a voulu célébrer en même temps l’Aïd et la Fierté étant donné que les deux fêtes sont tombées le même jour. Nous n’aurions jamais imaginé, ne serait-ce qu’une seule seconde, que Justin Trudeau porterait nos chaussettes lors d’une apparition publique, alors imaginez-vous notre réaction quand il l’a fait une deuxième fois ! TheLinkCanada : À votre avis, qu’est-ce que cela révèle de l’ouverture d’esprit de la culture canadienne au monde entier ? HalalSocks : Je pense que ce dont nous sommes le plus fier, c’est d’avoir joué un petit rôle dans ce que ce moment à révéler des valeurs du Canada et de ses habitants à l’échelle mondiale. Ce pays est fier de sa diversité, et cette fierté se reflète quand, malgré nos différences, nous nous rassemblons, que ce soit pour faire la fête, échanger nos valeurs, ce en quoi nous croyons, nos cultures et les personnes que nous sommes, dans le but de créer un pays aux idéaux plus grands encore que ceux de ses citoyens. Imaginez-vous, le chef de notre gouvernement, à l’éducation catholique, portant des chaussettes mettant en avant la religion musulmane tout en étant à un événement qui honore la fierté homosexuelle. Cette année, l’Aïd est tombé le même jour que la Fierté et en affichant son soutien aux deux communautés, il a renforcé les actions qu’il a déjà menées en tant que Premier ministre – des actions fondées sur le respect de tout concitoyen et ce, qu’importe qu’il fasse partie de la majorité ou d’une minorité. TheLinkCanada : Je surfais sur internet et j’ai remarqué que même si la plupart ont réagi de façon positive aux Halal Socks et à leur popularité toute nouvelle, la marque a également beaucoup de détracteurs. Comment gérez-vous cela ? HalalSocks : Nous essayons de répondre aux inquiétudes ainsi qu’aux critiques, mais notre équipe ne compte pas beaucoup de membres et nous sommes conscients que certaines personnes ne partagent ni nos valeurs ni nos points de vue, lesquels se sont développés du fait que nous soyons à la fois Canadiens et Musulmans. Au début, cela nous attristait, mais dernièrement, nous avons pris conscience que nous sommes en train d’accomplir quelque chose d’important et que même si certains sont froissés, nous recevons davantage d’amour et de soutien. Tous ceux qui font quelque chose qui crée le débat attirent les critiques, qu’elles soient justifiées ou non. Celles-ci nous servent donc à avancer. 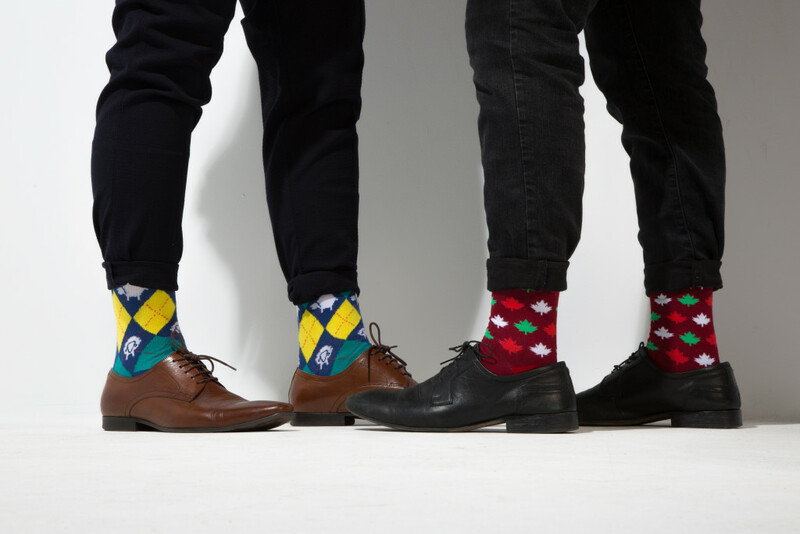 TheLinkCanada : Pourquoi ne faire que des chaussettes ? Pourquoi ne pas faire d’autres vêtements ? Comment cela a-t-il commencé ? HalalSocks : Nous voulions commencer par des chaussettes car, en tant que Musulmans, elles ont une place spéciale dans notre vie de par la prière, et honnêtement, nous nous sommes dit que l’Islam n’était pas représenté dans ce qui, pour nous, est pourtant le vêtement à travers lequel nous pouvons le plus naturellement afficher notre fierté culturelle et religieuse. Lors du dernier Aïd el-Fitr, Sara a eu du mal à trouver un cadeau festif pour son mari, Sherry. Connaissant sa passion pour les chaussettes, elle en cherchait qui soient dans le thème de l’Aïd. Après des heures de recherche sur internet, elle n’a rien trouvé qui se rapprochait ne serait-ce qu’un petit peu de ce qu’elle voulait. C’est de là que nous est venue l’idée de créer Halal Socks. Bien que nous ayons commencé par des chaussettes, nous avons l’intention d’étendre très bientôt notre activité à d’autres articles de vêtements. TheLinkCanada : Parlez-nous de la production des chaussettes, où a-t-elle lieu ?Comment en faites-vous la promotion? Quelle est votre clientèle cible? HalalSocks : Bien qu’elles soient conçues et testées au Canada, nos chaussettes sont fabriquées en Chine et en Turquie. Nous prenons bien soin de ce que chaque paire soit constituée à 80 % de coton peigné afin d’assurer un confort optimal des pieds. La promotion de Halal Socks se fait par le biais du soutien de personnes célèbres, des réseaux sociaux ou encore du bouche à oreille. Actuellement, nous ciblons les hommes et les femmes. Tout le monde ne veut pas forcément afficher sa religion, son soutien à la foi islamique ou honorer des cultures qui ont une représentation négative ou bien qui, purement et simplement, ne sont pas représentées. Nous visons une clientèle qui veut avoir le style de la tête aux pieds. Nous avons l’intention d’agrandir notre ligne de chaussettes pour qu’elles soient aux plus près des besoins des femmes (tailles plus petites, une conception différente) et des enfants. TheLinkCanada : Envisagez-vous d’étendre votre activité et auriez-vous quelques conseils à donner aux jeunes Canadiens qui ont des idées innovantes et qui voudraient, tout comme vous, monter leur entreprise ? HalalSocks : Nous sortons bientôt notre collection Femmes et Enfants. Nous aimerions également étendre notre activité et créer d’autres articles de vêtements. Le meilleur conseil que nous puissions donner est de ne jamais baisser les bras, quoiqu’il arrive. Rome ne s’est pas faite en un jour, vous devez donc persévérer et si vous échouez, ne vous inquiétez pas, le plus important est d’apprendre de ses erreurs. Nous par exemple, nous n’en étions pas à notre premier coup d’essai avec Halal Socks, mais, el hamdouli’Allah, nous ne nous sommes pas découragés et nous avons continué à croire en nous-mêmes. Grâce à ses chaussettes, Halal Socks a créé un moyen aussi superbe qu’unique pour les Canadiens musulmans d’afficher fièrement leur religion. Cela pourrait très bien inspirer nos jeunes à mettre en place leurs idées et ainsi essayer de faire avancer les choses de façon significative. Halal Socks, née d’une idée de cadeau pour l’Aïd, connaît aujourd’hui une popularité incroyable. Ce simple vêtement, auquel nous ne pensons que très rarement, a marqué les esprits. Ces chaussettes sont indéniablement la représentation de l’ouverture d’esprit de la culture canadienne, fondée sur l’acceptation des personnes et de leurs différences. Qui aurait pu croire que ces abonnés aux fonds de tiroirs deviendraient aussi iconiques ? studio de doublage. En plus du français et de l’anglais, Loïc parle également l’espagnol. Il s’intéresse à l’Histoire, aux langues et à la littérature. Loïc Le Jalu is based in Paris, France and has been a freelance translator for almost three years. He graduated from Université Paris-Est Marne-La-Vallée in 2016 and is finishing his masters degree at the same university. Presently, he is working for TED as a translator and subtitler as well as an adaptor for a dubbing studio. Besides French and English he is also fluent in Spanish. His interests include world history, linguistics culture and literature.